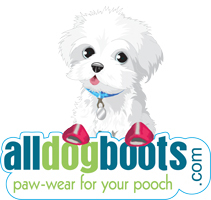 These warm weather dog sneakers will keep your dog's paws clean while playing outside, as well as protect the pads from coarse and hot ground such as concrete or sand. So next you are at the beach or park in the hot summer sun, don't forget to dress your baby girl in these adorable casual-wear running shoes for dogs. Let your pooch step out this spring in style! These adorable, lightweight pink doggie sneakers are sure to turn heads this season. 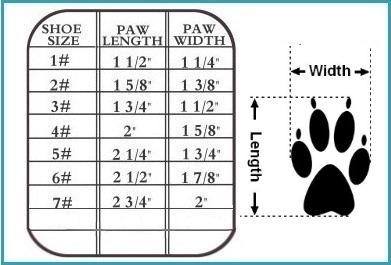 STEP 2: Print the paw print image chart and place paw directly on the chart. These are so cute on. I can’t wait for summer walks. These sneakers are not only cute but fit my dog perfectly. She is a senior dog and needs to wear shoes to avoid slipping on the floor and these work great! I hope they stay together a little better than our last pair. This is a different style so our paws are crossed! Cute shoes. My dog does not like grass and these shoes help when she is out walking. The quality of the boots is good, they just look perfect on my little Fluffy.